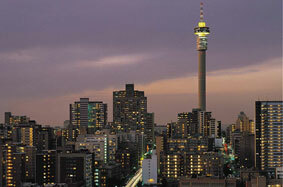 Airport Shuttle SA offers a superb Airport Shuttle Services in Johannesburg and Pretoria. If you are looking for safe and reliable transport to or from the OR Tambo International Airport or Lanseria Airport, we will ensure that you are being transported to your destination or airport in the most efficient manner possible. It is important to make arrangements for your transfer prior to your arrival at the airports to ensure that all your individual transport needs will be catered for. Why choose us? We offer cost-effective and affordable transport 24 hours a day, seven days a week with door-to-door transfers from the airport terminals to your home, office, hotel or holiday destination. We take the hassle out of flying because you eliminate the stress of driving to and from the airport and security concerns associated with late night arrivals. We offer exclusive airport hospitality with a meet and greet services, assistance with baggage and access to professional and courteous drivers. We have developed a unique online rate calculator that will allow you to get exact rates for your transport which means, no surprises and no hidden fees, what you see is what you pay!